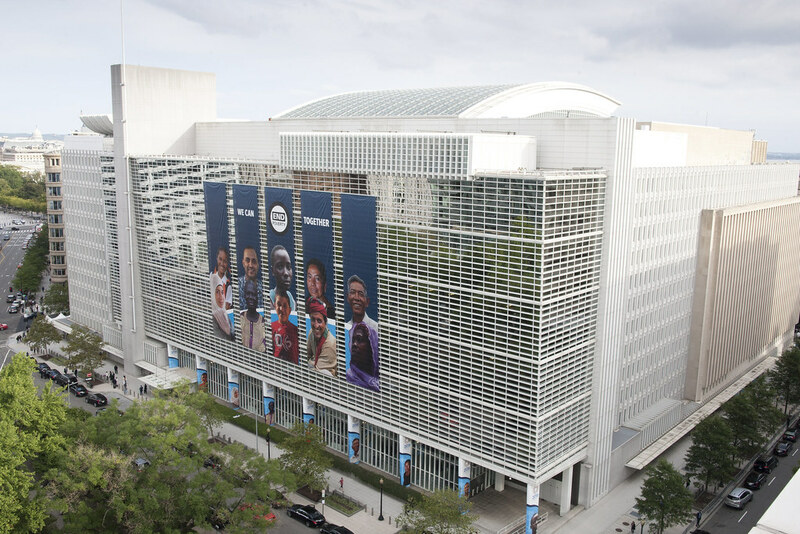 To alleviate extreme poverty, raise the standard of living for people in developing countries and empower women to fully engage in their countries’ economies, the World Bank must aide developing states and foster measurable accountability standards. The Bank should focus on developing nations in the greatest need of lending, moving countries on from lending programs when income standards are raised. Moreover, the Bank should embrace its position in the G20’s debt transparency initiative, since the topic of transparency is critical for the sustainability of economic development. Concerning the best practices to pursue by developing nations, they should foster innovation and freer markets, lowering national taxes, introduce fewer regulatory burdens and stable currencies, since, according to Malpass, these measures tend to reduce poverty better than others. Foreign Policy - Keith Johnson / Will David Malpass Run the World Bank or Ruin It? A “robust but constructive” discussion was held between the President of the European Commission and the British Prime Minister in Brussels, but there was little progress towards another agreement. Juncker highlighted that the Union will not change the Withdrawal Agreement since it is considered a “carefully balanced compromise between the European Union and the UK”. Nevertheless, the President stated that the Political Declaration that has been reached by the Union’s member states may be opened in order to add more content concerning the future relationship of the UK and the EU. EU chief negotiator Michel Barnier and Brexit Secretary Stephen Barclay will meet next week in the French city of Strasbourg. Chinese long-standing nuclear policy of “no first use” might come under pressure in Beijing as a result of maritime arms race with the United States, according to analysts. The situations is a direct result of Chinese gains in weapons development, which Washington has been trying to limit. President Donald Trump defended in October that his pronouncement over the INF has been driven by a need to respond to China’s nuclear build-up. Furthermore, Vice-President Mike Pence emphasized that the Navy will “continue to fly, sail and operate wherever international law allowed”, which has been analyzed as a clear warning to Beijing. However, one military source said that China is not capable of launching pre-emptive strike, unlike the United States, which limits Chinese options within the “no first use” policy. France recalled its ambassador from Italy after tension escalated between the two states. According to Marc Lazar, specialist in Franco-Italian relations “This is without precedent since 1940”. The trigger to the decision happened last Tuesday, when Luigi Di Maio, Italy’s deputy prime minister and leader of Five Stars Movement, met with Gilets Jaunes, which have been protesting against Macron’s policies these past weeks. Beneath the French decision lies an ultimate battle between two antagonist European perspectives: the nationalpopulist one, incarnated by Di Maio, Marine Le Pen and Matteo Salvini, and the progressive tone, leaded by Macron. “It’s a confrontation between two very different conceptions of Europe,” Mr. Lazar stated. Matteo Salvini, Italian Interior Minister, responded to the French ambassador’s recall with different of complaints, such as French decision of shutting the frontier to avoid illegal migrants coming from Italy. Current economies are separated between two different social strands. The upper one has a global view and employs a minority of labor force, while the lower strand usually employs a low-productivity faction that contains the bulk of the workforce and is characterized by low wages and poor conditions. How should playmakers face this binary division? Good jobs are scarce and benefits are only enjoyed by a minority, which fuels authoritarian and nativist political options, which already affect many countries nowadays. The problem is a structural one, and enterprises by themselves cannot solve it by only offering better conditions at work. The structure of production and the structure of the labor force are mismatched since production is more and more skill-intensive while the bulk of the labor force is still low-skilled. Moreover, technological advancements have been labor-replacing, widening the gap. This situation has resulted into an intensified economic dualism, which strengthens patterns of inequality, exclusion and political polarization. Solutions should focus on investment in skills and training, employment of unskilled workers by firms and, most importantly, boosting an intermediate range of labor-intensive, low-skilled economic activities.